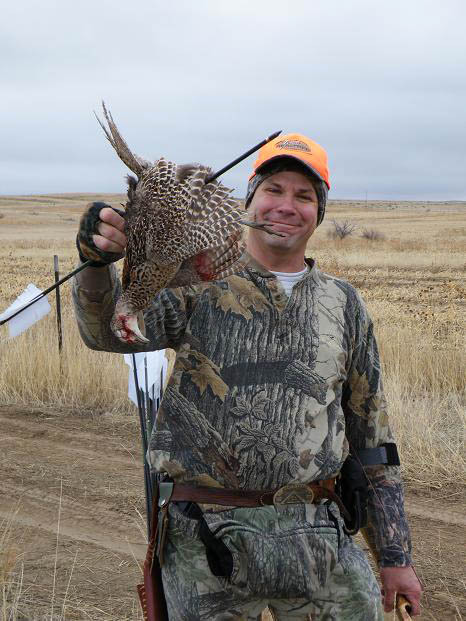 This is a picture of the pheasant hen I shot in Colorado on 3/14/10. It was at a hunting club and I shot the hen on the ground. I was using my Sarrels longbow and the other two guys in my group used shotguns. I was no danger to the flying birds but can't wait to do it again. 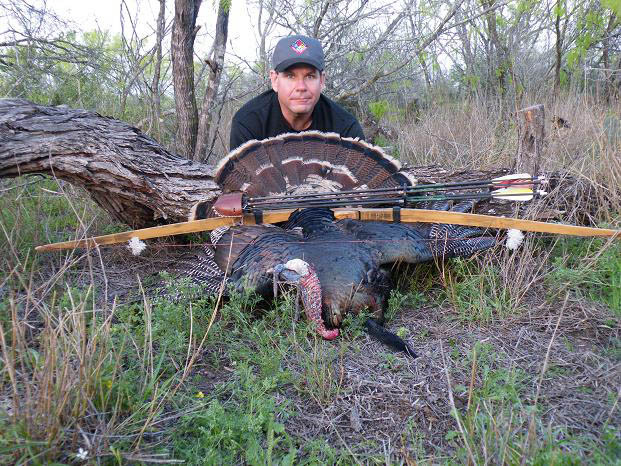 Also attached is a picture of my Turkey gobbler taken in McMullen Co. on 3/24/10 with my Sarrels longbow.